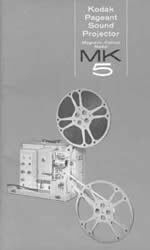 Kodak Pageant Sound Projector MK5 Owners Manual Discounts Apply ! 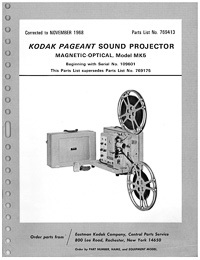 Excellent quality photocopy of the original 1966 Kodak Pageant Sound Projector Magnetic-Optical Model MK 5. 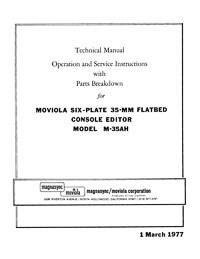 This 44 page manual is printed on double sided 8-1/2" x 11" heavy weight paper and stapled in the center just like the original. 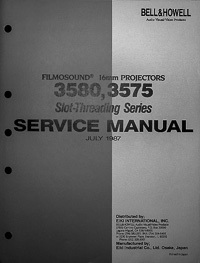 It contains sections on technical specifications, setting up, projecting, cleaning and maintenance and replacing belts, tubes and bulbs.